Natural Health Therapies - Parkinson's Disease is a degenerative disease of the nervous system which is caused by free radical damage to the basal brain ganglia that control muscle movement. This depletes a chemical called dopamine in the brain. Dopamine is a neurotransmitter that carries messages from one nerve cell to another. In Parkinson's disease, the cells in the brain that manufacture dopamine are damaged or dying, and hence the brain loses the ability to manufacture this chemical. Parkinson's Disease is a devastating condition that affects as many as 1 in 100 persons over the age of sixty in the United States, and this prevalence is increasing dramatically. Dopamine depletion causes muscle weakness, body rigidity and slowly spreading tremors. Though cognitive function usually remains normal, the person feels frozen, unable to move. As the disease progresses, posture becomes stooped, and involuntary movements become increasingly difficult. See below at bottom of page for signs and symptoms of Parkinson’s Disease. Highly Recommended: The first thing we recommend for anyone who is experiencing symptoms of Parkinson's disease is to have their hair tested with a hair tissue mineral analysis. A hair analysis can determine which specific heavy metals are creating a toxic burden on your body and can give you an excellent baseline from which to measure the success of any type of heavy metal detoxification program you embark on. Heavy metals like arsenic, aluminum, mercury, lead and cadmium are neurotoxins, which can often be one of the causes of autoimmune symptoms. Heavy metals greatly affect the body's ability to absorb important, life-sustaining nutrients. The hair mineral analysis also tells you which essential minerals your body is needing more of, which it needs less of, and which important mineral ratios are imbalanced due to toxic elements. For example, Parkinson's patients usually have a severe copper deficiency. Copper is an essential element in the metabolism of dopamine, which is a neurotransmitter. Low dopamine levels are common in patients suffering from Parkinson's disease. Researchers have found that an imbalance of iron to copper may also play a role in Parkinson's disease as well as other neurological disorders. Parkinson's patients also tend to have elevated manganese levels. Cobalt deficiency is another factor in Parkinson's disease. The hair tissue analysis can also provide valuable insight into your metabolism and what dietary changes might be most helpful. For more information on the hair tissue mineral analysis, scoll down the page or click here. If you have been diagnosed with Parkinson’s, you should be under the care of an experienced neurologist. He or she will likely place you on L-dopa, a dopamine derivative, which may help to temporarily reduce the symptoms. Supporting your body with good nutrition and a detoxification program to rid your body of metals and chemicals is highly recommended. Specific supplemental interventions, such as glutathione, CoQ10, and antioxidant therapy is showing impressive results among holistic practitioners. The Better Brain Book by David Perlmutter M.D. The Better Brain Book, written by David Perlmutter, M.D., is written in layman's terms, making it easy to understand for those of us who are less scientific.Dr. Perlmutter addresses all the factors that can influence brain health and gives you detailed recommendations for dealing with them. The Better Brain Book is excellent for helping you understand risk factors associated with specific neurological disorders, and for tailoring a diet, lifestyle and supplementary program just for you. The Better Brain Book provides a very practical guide to treating neurological conditions with natural and safe remedies that have abundant scientific support. The nutritional and oxidative therapies that he recommends are part of a growing wave of scientifically based, complementary treatments. "Any patient would benefit from his advice, and all physicians should learn of these treatments if they want to do the best for their patients. Dr. Perlmutter’s advice could improve the lives of millions of patients and their families, and save health care dollars at the same time”. Glutathione therapy is having extremely impressive results for Parkinson’s Disease among holistic practitioners, and is highly recommended by such well-known alternative health doctors such as Dr. Julian Whitaker and Dr. Marcus Laux. Dr. David Perlmutter, M.D. and Board Certified Neurologist, calls is “the glutathione miracle”. Glutathione is a vital brain chemical that is one of the most important brain antioxidants. That is, glutathione helps to preserve brain tissue by preventing damage by free radicals. According to William Code, MD and Multiple Sclerosis survivor, glutatione levels in the body are an indicator of health and how long a person will live. By the time you have a serious chronic disease such as a neurodegenerative disorder, chronjc fatigue syndrome or even cancer, your glutathione levels are seriously depleted. Glutathione has been found to be substantially reduced in almost all Parkinson’s disease patients. According to Dr. Code, once diagnosed with either MS or Parkinsons, the body’s cellular glutathione is only 5% of what it should be. Supplementing glutathione either intravenously, with liposomal glutatione or with glutahtione precursors such as non-denatured whey protein powder can have remarkable effects. “In this research protocol, Parkinson’s patients received intravenous glutathione twice daily for 30 days. The subjects were then evaluated at one month intervals up to six months. The published results indicated that all patients improved significantly after glutathione therapy with a 42% decline in disability. Once glutathione was stopped, the therapeutic effects lasted 2-4 months. Further, the researchers indicated…”glutathione has symptomatic efficacy and possibly retards the progression of the disease”. To find out more about intravenous glutathione therapy, please call the Perlmutter Health Center at 239-649-7400, or the Whitaker Wellness Institute at 949-851-1510. Now, however there is new liposomal technology that allows glutathione to be fully absorbed by the body. It survives the trip through your intestines because the glutathione is contained in microscopic little pouches called liposomes. Thus, the glutathione enters your bloodstream intact. According to Dr. Laux, liposomes were recently tested in rigorous scientific studies, and were found to have an amazing 90% absorption rate. That’s comparable to intravenous glutathione therapy, for a fraction of the cost. Another excellent supplement that helps to raise intracellular glutathione levels is non-denatured whey protein powder. Protein powders contain NAC in its natural form as well as glutamine, both which are glutathione precursors. This means that protein powders help the body produce its own glutathione, and have been shown to raise intracellular glutatione levels. Important Tip: Since glutathione is a vital antioxidant and therapeutic agent, we highly recommend both liposomal glutathione and non-denatured whey protein powder to optimize glutatione levels inside the cells. Glutathione also optimizes the body’s use of other important antioxidants such as CoQ10, alpha lipoic acid, and vitamins C and E.
While the actual cause of Parkinson's remains unknown, there are two related theories put out by the medical establishment as to what causes this destruction of certain brain cells. One hypothesis is that the cells are destroyed by toxins within the body that the liver is unable to filter out because as the body ages, the liver loses its ability to work as efficiently and effectively as it once did. Another theory is that exposure to environmental toxins, such as herbicides and pesticides that leach into the ground water, is responsible. In fact, the American Medical Association has recently declared that it believes the culprit for this devastating disorder to be pesticides, insecticides, herbicides and other inorganic chemicals. And interestingly enough, the basis of many pesticides and insecticides is toxic metals such as arsenic (rat poison), cadmium (fertilizers) and lead. Some people with Parkinson's disease have been found to have high levels of lead in their brains. In the book "The Truth About Where You Live", Benjamin Goldman reports extensive studies of pesticides and chemical toxicity as they relate to Alzheimer's, Parkinson's, and Lou Gehrig's Disease. He also points out that Parkinson's has been correlated with rural farming practices throughout the country. In the U.S. alone, 1.3 million tons of pesticides are used each year, both in agriculture and for cosmetically altering the foods we eat. According to a featured news article on MSNBC.com, the evidence that exposure to environmental toxins such as pesticides and herbicides causes Parkinson’s disease is stronger than its ever been before. To view the article, please click here. Reducing the load of toxins on your body means eliminating preservatives, additives, food colorings, artificial sweeteners, monosodium glutamate (MSG) and artificial flavorings. It also means reducing exposure to airborne chemicals, such as perfumes and tobacco smoke, household chemicals, and pesticides and insecticides. Drink only filtered water, and prepare and store food in inert containers only (not plastics). A hair analysis is good alternative way of determining what toxic metals are present in the body. In addition, it also measures the levels of essential minerals in the body, such as calcium, magnesium and zinc. This test can provide you with much-needed information about your body. Introducing The Comprehensive Hair Tissue Mineral Analysis by Trace Elements, Inc.
For a complete overview of the various sections covered in the Comprehensive Hair Analysis Report, please click here. To view details of the elements measured and to order the Comprehensive Hair Mineral Analysis, please click here. Once you purchase the hair analysis from us, we send you a hair sample kit with instructions on how to take the hair sample. You then send the hair sample to the Trace Elements lab, and the lab sends us the detailed report/results, which we then mail to you. (Please note: international customers outside of the United States will be instructed to send the hair sample to us, not directly to the lab). According to Dr. Thomas Nissen, an expert in Environmental Medicine, detoxifying the body of metals and chemicals is the first priority. As we have seen, toxins play a major role in Parkinson’s Disease and other neurological disorders, so neutralizing these toxins is highly important. IMPORTANT TIP: For those of you who wish to do everything possible to detoxify, to "cover all the bases" so to speak, we recommend using Far Infrared Sauna Therapy. 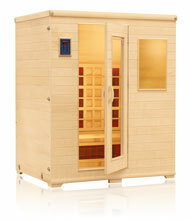 To learn about the profound benefits of FIR sauna therapy and nitric oxide on the body, click here. Taking glutathione as well as enhancing body detoxification can have a dramatic effect on the manifestations of Parkinson’s disease. 6. Protect Your Brain With Antioxidants. As with other neurodegenerative disorders, antioxidants have a major role in protecting the brain in Parkinson’s disease. As stated before, Parkinson’s is thought to be caused by excessive free radical damage in conjunction with a lack of antioxidants. According to Dr. James Balch M.D., the use of antioxidant supplements may delay the need for L-dopa therapy by as much as two to three years. CoQ10 is an antioxidant that plays a critical role in cellular energy production. It is also the subject of intensive medical research for Parkinson’s disease across the country. Researchers believe that CoQ10 works by improving the mitochondria, the energy production units of cells. Mitochondria function is impaired in people with this disease. According to Dr. M. Flint Beal at the Massachusetts General Hospital, Parkinson’s patients demonstrate a profound deficiency of CoQ10. And a clinical trial at the University of California, San Diego School of Medicine, showed that CoQ10 reduced the progression of early-stage Parkinson’s. According to Dr. Beal, CoQ10 is readily absorbed and well tolerated, and oral supplementation results in measurable increase in cellular energy. CoQ10 is available from many manufacturers in a number of different forms. Several manufactureres have worked on developing enhanced bioavailability forms of CoQ10, meaning that if more of the CoQ10 is absorbed by the body, then a lower dose of the supplement is needed. According to Dr. Perlmutter, acetyl-L-carnitine is one of the most important and specific antioxidants for Parkinson’s disease. He reports that in a fascinating study in 1995, researchers demonstrated the ability of L-carnitine to completely prevent parkinsonism in animals. When laboratory animals are exposed to certain brain toxins, they develop full-blown parkinsonism as a consequence of free radical production in the area of the brain that produces dopamine. Pre-treating the animals with L-carnitine prior to the toxic exposure offered complete protection – none of the animals developed parkinsonism. In light of this information, L-carnitine may serve as a powerful and important protective agent. Alpha lipoic acid is a very powerful antioxidant that is both water and fat soluble. This means that it has the ability to cross the brain-blood barrier and enter the brain. This makes it a highly important substance for neurodegenerative conditions. Alpha lipoic acid is also able to chelate toxic metals. This is important since these metals may assist in the formation of free radicals. ALA can bind to toxic metals including excessive iron; research demonstrates that Parkinson’s patients have high concentrations of iron in their brains. According to James Balch. M.D., the use of vitamin C and vitamin E, which are powerful antioxidant vitamins may delay the need for L-dopa therapy by as much as two to three years. In one study, people with Parkinson's were given 3,000 milligrams of Vitamin C and 3,200 IU's of Vitamin E daily. It appeared to postpone the effect on tremors and other symptoms significantly. The evaluation revealed that the drug Deprenyl worked only 40 percent as well as nutritional therapies. Preliminary research has found supplementing with NADH improves brain function in Parkinson’s patients. In a study published by Dr. Joerg Birkmayer in 1993, of the 885 patients who received NADH 80% showed moderate to excellent improvement in their disability. NADH is the biological form of hydrogen which reacts with the oxygen present in our cells to produce energy. The more NADH we have, the more energy we can produce. NADH is absorbed by the body and enhances your ability to restore the body's cellular energy source. Macuna beans have been used by traditional healers in India and Brazil for people with Parkinson’s disease. These beans are a natural source of L-dopa,a s well as a rich source of vitamin E. They appear to have similar benefits to L-dopa, and further research is underway to clarity their effectiveness. As well as the body becoming rigid and limbs stiffening, Parkinson’s can also lead to dementia. Thank you for visiting our page on Parkinson's Disease Natural Therapies!